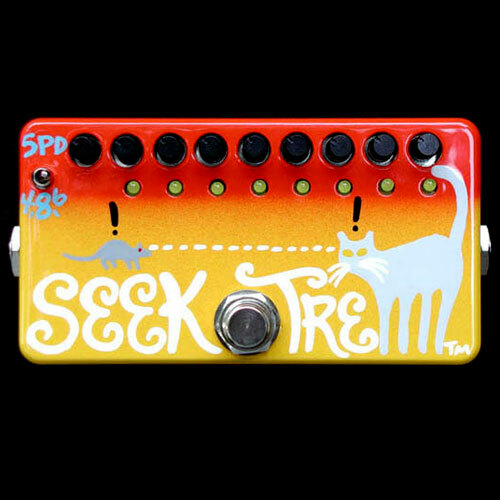 The Seek-Trem is an eight-stage sequencer-controlled tremolo pedal. The controls are, from left to right, 4/8/6 step selector switch, speed (tempo), and 8 sequencer volume controls. All of the controls work in the opposite direction from conventional because the pots are smoother this way. This means you have to turn them to the left to make them louder, or in the case of the speed control, to make it faster. There is also a true-bypass stomp switch which causes the sequencer to “halt” and wait at step number 1 until the pedal is turned back on. The Octane 3 is a ridiculously musical fuzz pedal with an octave-up effect blended in. 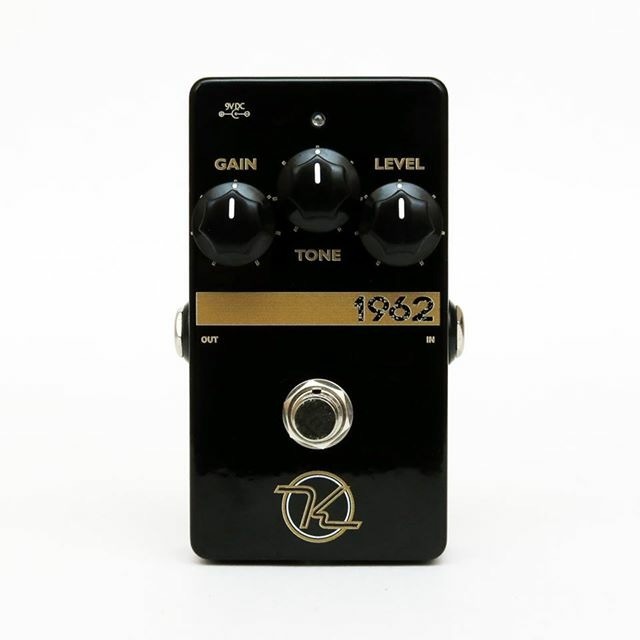 The Octane 3’s circuit uses a combination of germanium diode and transistor fuzz generation and a ring modulator to turn simple chords into nutso note combinations and complex chords into incredible noise. It also makes solos soar impossibly high. The Octane 3 has a simple but powerful three-knob control set for output, input drive, and a mid-scooping tone control. The Octane 3 has the exact same audio circuit as its predecessors, but has a special LED switching system that preserves the true-bypass while adding an LED on/off indicator. Also, this switching system silences the pedal’s circuitry while it is in the off mode so it doesn’t squeal or hiss in the background. Improvements were also made to reduce radio reception, which was a problem with the older models. This effect is a theremin-style antenna controlling a wah, getting brighter as your foot approaches. It has three extra features, however. There’s a Super Hard-On boost circuit in front of the wah, with a knob to set the exact level of boost for driving your wah sound. It can be turned up high enough to make the wah crack up a little for that “something’s gonna blow” sound. It gets pretty darn loud! There is also a “Mix” knob for dialing in the desired wet/dry mix of the effect, and a “Range” knob for controlling/limiting the ultra-bright upper range of this circuit. The probe circuit generates a small (one or two inches high) “bubble” of RF energy at about a million cycles per second above the antenna plate. As your foot or hand (or any wet or metallic object, for that matter) approaches the copper plate, the RF field is disturbed and the circuit reacts by increasing the brightness of an LED, which drives a photoresistive cell and controls the Z. Vex wah circuit. The wah circuit is actually the Seek-Wah sound circuit without the sequencer control. 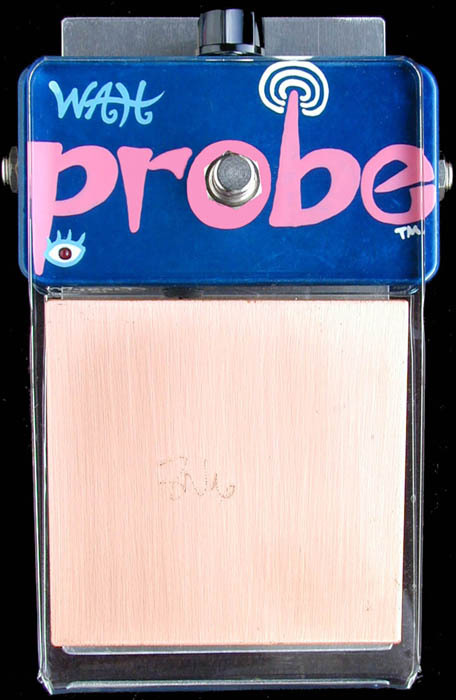 The only difference is the boost circuit in this Wah Probe model. 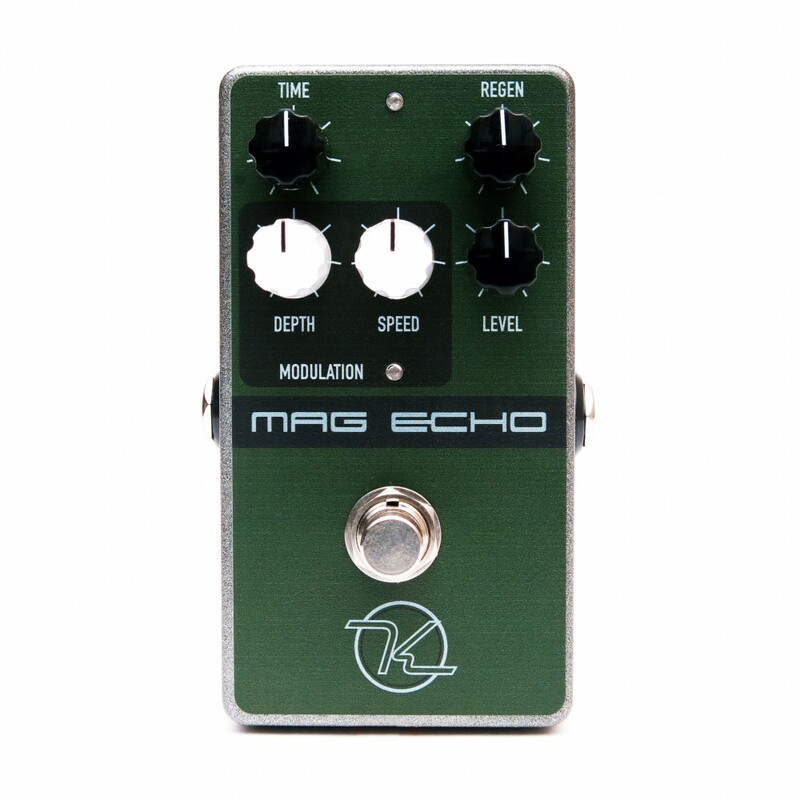 Magnetic Echo in limited “Space Echo” color Scheme, 100 pieces. We love the look of this paint scheme, we’ll be trying them out here with these 100 pieces, and see if the masses agree. Get em while they’re hot! All of our Compressors are hand built in the USA. Unlike any other compressor, the Keeley Compressor was given the Editor’s Pick Award from Guitar Player’s Magazine and recently awarded Reader’s Choice for Stomp Box. It is a true audiophile and studio grade compressor with an exotic rack mount quality in a stomp box form. The sound alone will inspire your creativity. The Keeley Compressors now have an Internal Attack control, designed for bass players with high output active pick-ups or active pedal boards with buffers. After tweaking the compressor design, the Keeley Compressors now have an input sensitivity control which allows the user to run keyboards, drum machines, drum mics, master recordings and other line-level uses with the Keeley Compressor. You’ll raise your signal to a new level of Sonic-Awesomeness. The Keeley Compressor effect has nothing but tone tested components and true bypass switching and the effect switching incorporates a triple pole-double throw switch! The user will marvel at the clean unaffected sound when in the bypass mode and the compressor has an LED for effect indication. Metal film resistors and capacitors ensure the cleanest compressor on the market. Hand matched transistors to less than 1% tolerance and ensures the musician receives a perfectly compressed signal with no chance for unwanted distortions. The sound quality of the Keeley comp is unheard of in the stomp-box arena and is only seen in the high-end, very expensive rack-mount or tube equipment. Standard 9V DC battery and AC adapter connection. Low Current Draw – 5mA. 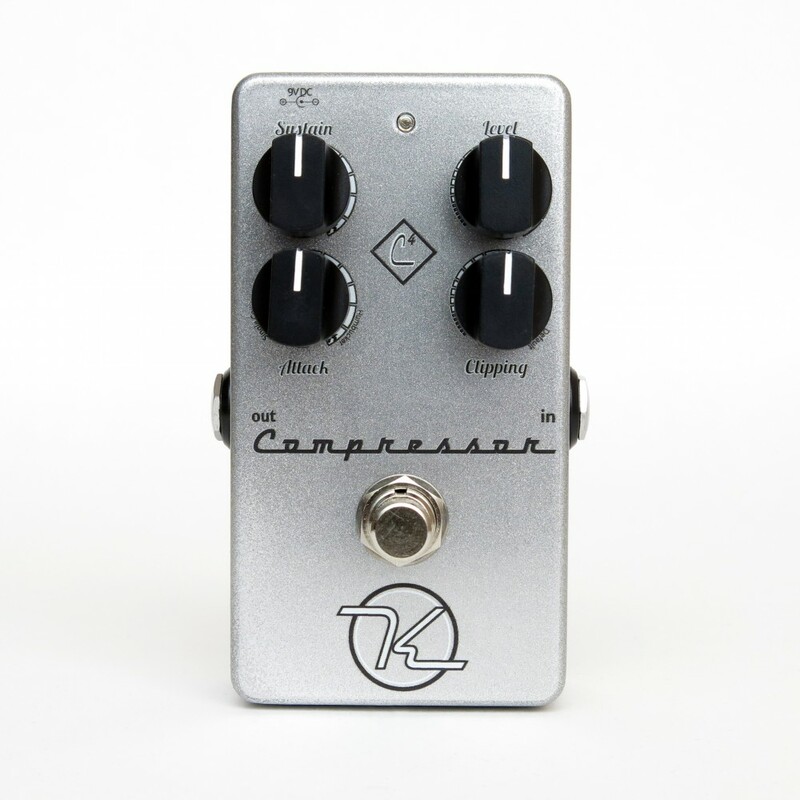 We also offer a 4 Knob Keeley Compressor, with Input Clipping and Attack Controls on the front. Introducing the Mini Katana clean boost! The new Mini Katana is now a 4 Mode Booster! With the dual micro switches you have a total of four sounds possible. Need drive, just flip the micro Hi-Gain Switch inside and you’ve got overdriven tone! Flip the Hi-Cut Switch (NEW for the Katana Mini!) on the inside and you have a warmer tone to soften any Strat or Tele. Flip both switches and you have the ultimate sounding boost, thick, creamy, tube-amp sounding, and plenty of volume on tap! Obsessed with cleanest, most enjoyable tone boosted? Well, Before other people started using Blue LED’s and non-diode clipping stages, there was the TMB and Katana…. Cascading FET stages do the tube-amp-thing like nothing else! Now made smaller, it will fit any board and any budget. Enjoy the pedal that redefined clean boost in the boutique era. Arguably one of the most widely used Modulation effects, flangers have found their way to most guitarist pedal boards. 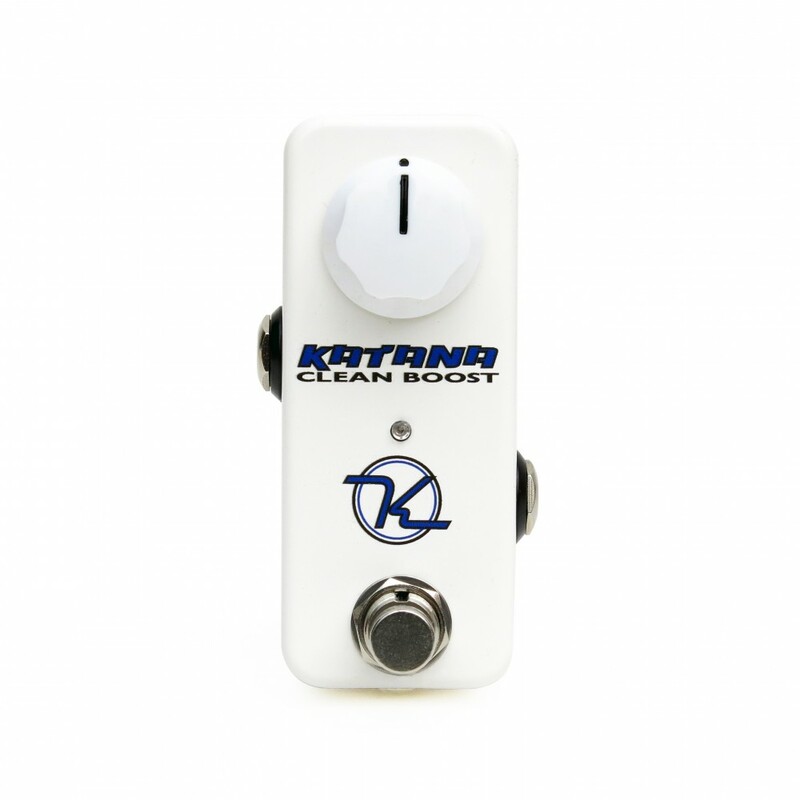 The Mini-Mod Flanger was designed to be the perfect flanging effect, versatile yet not overbearing always maintaining the integrity of the original guitar tone. 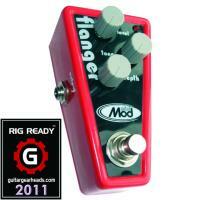 The Mini-Mod Flanger is a world class effect that can be subtly transparent or cranked to tension soaked extremes. Sure to please and at an outrageous price! 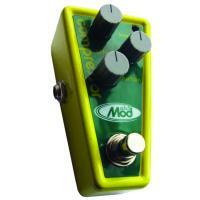 Make the Mini-Mod Compressor your “silent” partner in tone. Modeled after the most popular compressor ever manufactured, the Mini-Mod Compressor will bring out the brilliance in your tone without doing any more than kicking on a switch. Use it as a subtle tone enhancer or crank it up all the way to do chicken-pickin Nashville style licks just like the pros. The Mini-Mod Compressor will handle anything you need it to do and still ask for more. The Mini-Mod Booster works by maximizing the volume of your amp without adding distortion or changing your tone. The Booster is a miniature version of the ModTone Pro series Clean Boost, offering up to 25db of boost without adding any grit to the signal chain. The Booster is perfect for lead solos, boosting acoustic instruments or just improving the overall tone of a guitar. 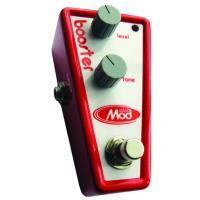 Use the Mini-Mod Booster in the loop or in front of the amp and kick your tone to that next level. Deep Blue is perfect for a rock, blues or even a jazz guitarist. The overdrive controlled by the Drive knob produces the classic smooth harmonic sound traditionally associated with blues and jazz. 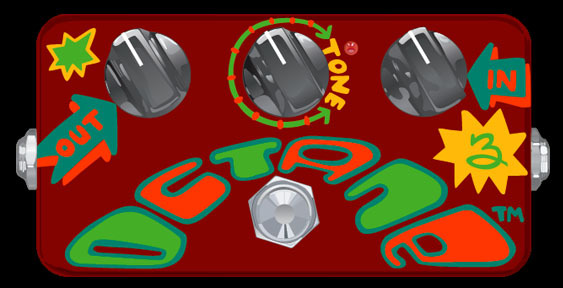 The Tone knob allows the guitar player to suit his preference to a more bass or treble tone. The level is to crank it up where you end up close to metal territory. Alot of power and tone here ! From Blues Moans to all out crunch…Dig deep with the Deep Blue ! available. The unit is self powered to receive a headphone connection ( small pin headphone in). 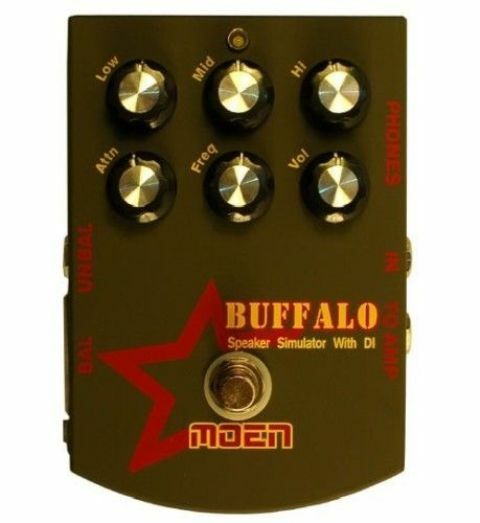 Sounds somewhat like the Rock The BUFFALO features a huge variety of control to shape the sound as well as other features simply not found in one stomp box. First, it’s a direct to amp overdrive effect that sounds good straight to amp and has plenty of headroom and adjustment. It has Low, Mid and High EQ along with a Frequency knob for EQ contour adjustments shifting of these frequencies. New for the Gen2, the stomp switch will allow bypass to the equalizer section for more song shift dynamics. Volume knob for total output level and an Attenuation knob which is for input signal attenuation/boost. 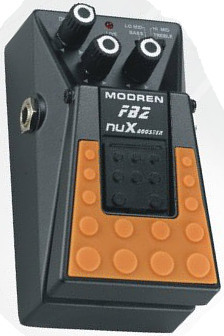 I prefer this over some of my other drive pedals, colors the sound nicely with just enough ‘edge” to the sound. Second, it’s a headphone amp !! Perfect for late night jams or when an amp is notIt headphone amp when going through the Buffalo direct. Hook some effects in line, Delay, Reverb, Chorus, ect., it really starts to come alive. More than enough to inspire some new riffs with late night jams through headphones. Great for travel or carry-on……. Third, it’s a direct box !! DI balanced output for going straight to a board or mixer or… unbalanced direct out for other 1/4 jack uses. This accepts three prong mic/instrument cable. Any three options can be useful as a stand alone item, but with the BUFFALO, it’s all here in one. 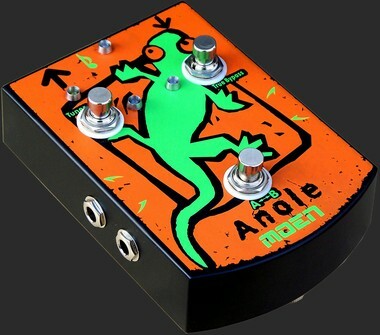 The ANOLE is a special dual looper/signal router, there are three switches to control the singal flow, 1. Tuner switch – Switch signal to tuner or bypass tuner 2. Gerneral switch – Bypass whole looper or enable whole looper 3. A-B switch – Swap between LOOP A and LOOP B. This box is superb for blues/rock. Has organic distortion that is very tubeville! Unlike some “tubelike” pedals that you just turn everything up and that is what you get, there are some options here. It is also capable of getting nicer tones as well when you want to blues down a bit. 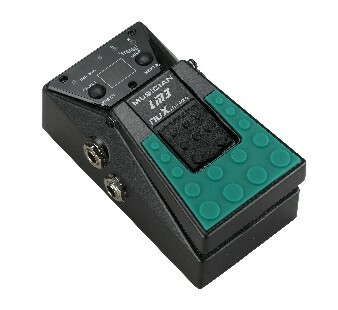 This effects pedal is perfect for a rock or blues guitarist. The distortion controlled by the Drive knob produces the classic smooth harmonic sound traditionally associated with blues and rock. The Tone knob allows the guitar player to suit his preference to a more bass or treble tone. The level is to crank it up where you end up in metal territory. Using low noise Bucket-Brigade circuitry, the FL-2 brings the natural, clear flanging sound of the Psychedelic era back to life. FET circuitry allows for pop-free switching between the wet and dry sound. 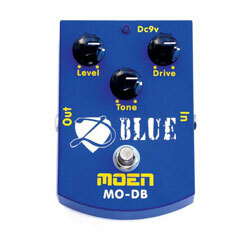 The modern High Gain pedal is capable of delivering either warm or strong types of distortion. 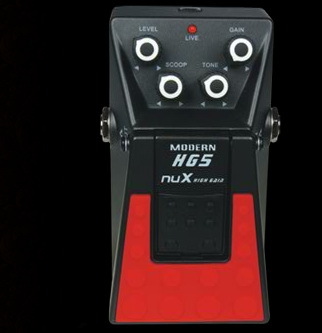 No matter if you’re playing 70’s, 80’s rock or new style metal music, the HG-5 will be a serious contributor to your style. 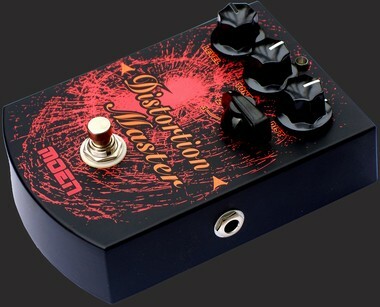 High gain distortion to make very aggressive distortion. Three discrete gain stage circuits. FET circuitry simulates the characteristic warmth of tube amplifiers. The FB2 is not only reminiscent of the Treble Boosters of the 60’s and 70’s, but also a real frequency booster for the tone you liked. It’s going to give you the ability to fatten up and overdrive your favorite amplifier. Blend vintage treble booster circuit and modern flat frequency band booster. An unique DYNA knob can adjust the headroom of the pedal. Top loading battery can be changed without tools. The LM-3 is a pedal MP3 player, great for practicing at home or a background music track when playing live! The LM-3 mixes the guitar/ keyboard sound with the MP3 music. There is an amplifier simulator (Cab. Sim) that sweetens the sound of your guitar when you plug directly into a mixing board. You can load up to 99 songs! 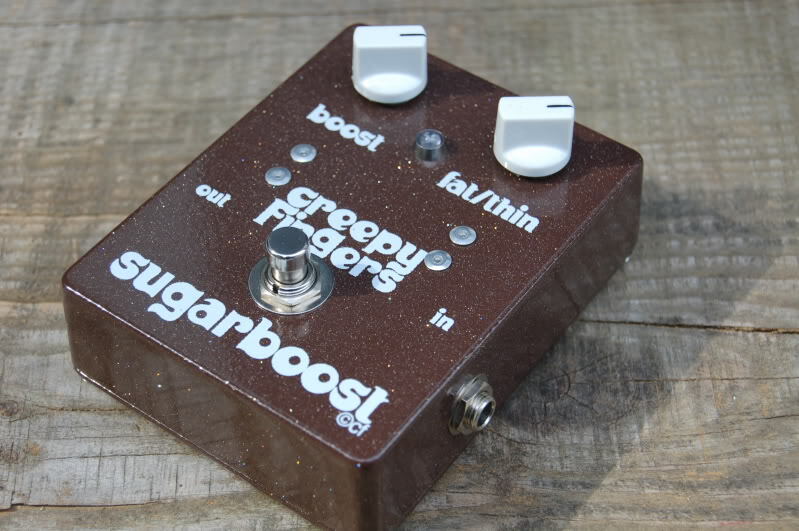 The Creepy Fingers Sugarboost is a faithful reproduction of the vintage Dallas Rangemaster, a single-stage Germanium full/treble boost with NOS 60’s transistors. Warm and smooth boost with bite without any of the harsh overtones associated with other boost pedals.